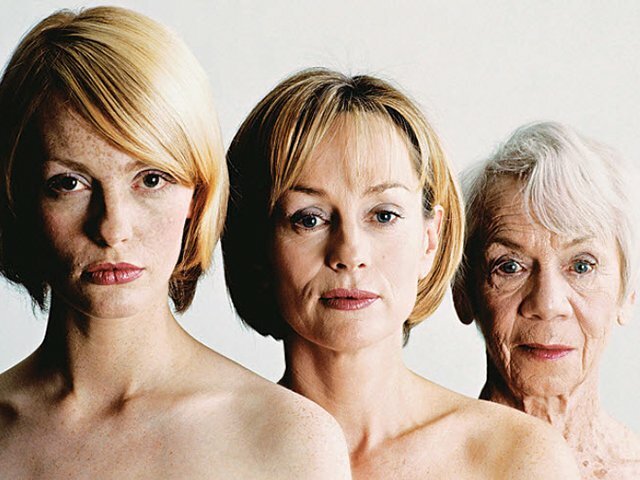 As you age, your skin begins to look and feel different. Apart from that, the actual shape of your face also changes. Find out more about facial aging changes in your 20s, 30s and 40s and what you can do to keep your skin healthy and radiant-looking. When you head from being a teenager into young adulthood, you start to lose baby fat. Though the changes are subtle, you start to look more like a woman and less like a girl. You may not believe it but facial aging starts at this phase. This is the time when very early signs of so-called motor wrinkles – the creases and facial lines related to movement – first appear. Also, if you spend most of your time squinting in front of a computer screen, you may also start to see ‘crow’s feet’ or the tiny lines around the eyes. Young women should also watch for melasma – a brown hyperpigmentation that appears on the forehead and cheeks, caused by a combination of hormones, sun exposure and pregnancy. To maintain your youthful glow, avoid the sun if possible and always use sunscreen when you’re outside. How you look in your 40s and beyond will reflect on what you do in your 20s. Applying sunscreen is key. Start using moisturizers on a regular basis. Dermatologists recommend using retinol-based skin care products. This is the decade when you’ll notice your skin is less radiant and appears ‘tired’. You will start to notice deep crow’s feet including past sun damage that may aggravate the appearance of small brown spots. Be prepared for the dreaded 11’s – the parallel lines that emerge between your brows. Both the 11’s and the nasolabial lines around your mouth will appear during this decade. Experts suggest to increase usage of retinol products to three to four times a week. Also, this is the time you have to use moisturizers and sunscreens. Chemical peels can eliminate minor imperfections and maintain that ‘youthful glow’. To add, this is the decade to go after those wrinkles with Wrinkle reduction and Dermal Fillers such as Juvederm and Restylane. Keep in mind that the best way to make the most of the results and ensure safety is to look for a board-certified plastic surgeon or dermatologist. When you reach 40, the facial lines and wrinkles become deeper. Lines around your upper lip – called the purse string muscle – start to appear. Since this area is prominent, it is highly prone to sun damage. If you skipped sunscreen on this area, you will see the aging lines here first. Be prepared to see more lines and creases on your forehead, eyes plus a more noticeable smile lines. Consider Wrinkle reduction and Dermal Fillers at this point if you haven’t tried it on your 30s. You also have to use stronger moisturizers and a night cream. Experts believe that when you sleep, your skin undergoes a natural healing process so skincare products intended for night use are absorbed better and may provide better results. A recent study discusses the common occurrence of acne vulgaris and look at different types of dermal fillers for acne including temporary, semi-permanent and permanent dermal fillers. Acne vulgaris is a skin condition that commonly affects adolescents (approximately 80 percent) and often appears at the face, neck and back. Subsequent scarring is a prominent concern among acne sufferers. Acne has been classified into two – atrophic acne and hypertrophic acne. Atrophic acne is more common and is further divided into boxcar, rolling scar and ice pick scar. A newly adapted treatment for acne scars is the use of temporary, semi-permanent or permanent dermal fillers. 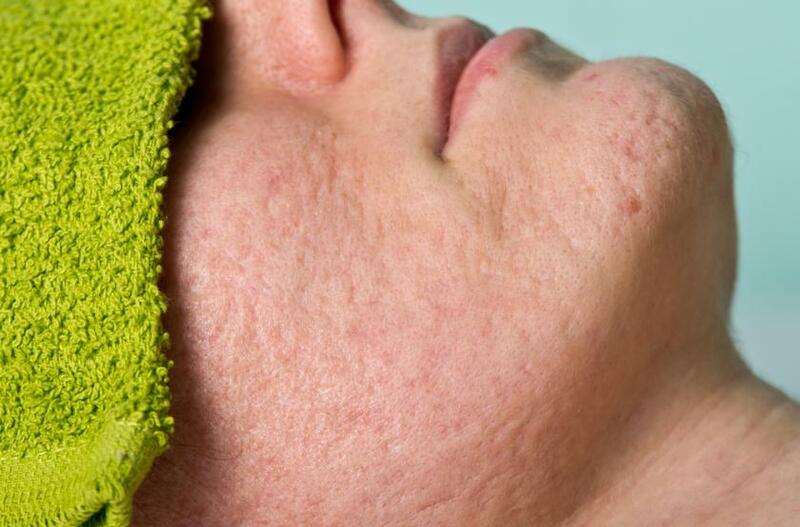 A research published by the British Association of Dermatologists studied dermal filler as treatment for acne scars, based on a compilation of previously conducted research. Selected dermal fillers for acne was compiled for review. Only hyaluronic acid was identified as temporary dermal filler. Under semi-permanent dermal fillers for acne, calcium hydroxylapatite, better known as Radiesse and poly-L-lactic acid with the trade name of Sculptra were included. Under permanent dermal fillers, Aquamid (polyacrylamide), Bellafill (Polymethylmethacrylate), silicone and Bio-Alcamid (polyalkylimide) were listed. For each filler, a number of researches were organised into groups to identify and describe their findings and aims. The article also identified one of the listed dermal fillers Bellafill (PMMA) as approved by the Food and Drug Administration (FDA) based on results from randomized controlled trial. Also, it was stated that fillers administered topically may need laser assistance at some point. The article concluded that while dermal fillers are commonly used for tissue augmentation, they are not fully utilized when it comes to the treatment of acne scars. The FDA-approved dermal filler for acne Bellafill yielded strong results during a randomized controlled trial. The research focuses to the indication that fillers are effective for the treatment of boxcar and rolling atrophic acne scars. The article added that efficient use may be associated to the length of action of the treatment. While the article doesn’t introduce new research, it successfully compiled pre-existing data and gives a convincing conclusion supporting dermal filler treatment for atrophic acne scars. With the increasing regard for skin care and treatment, dermatologists may be able to suggest dermal fillers as treatment options for acne scars. Today, there is a variety of treatment options available that can be prescribed to match a wide range of skin conditions and types, providing options that meet the needs of the patient. Further research on dermal fillers can probably lead to FDA approval to expand options for patients and this emerging area of the pharmaceutical industry. A new use of Wrinkle reduction treatment is now being considered by many doctors – the injectable toxin may help overweight and obese people shed weight, based on early research. Wrinkle reduction treatment is believed to work by blocking a crucial nerve in the stomach that regulates feeling of satiety and hunger. In a small study in Norway, researchers injected Wrinkle reduction treatment into the stomach of 20 obese individuals, with body mass indexes ranging from 35 to 44. The study utilized an endoscope, a medical instrument to look inside the stomach and administer Wrinkle reduction treatment for weight loss into the lower part of the organ. Participants received Wrinkle reduction treatment at the beginning of the study and then another one every six months. After a year (patients had received two injections) results revealed that 70 percent of the group had lost weight, with an average weight loss of 17 percent out of their excess weight body. After 18 months (patients got three injections), 75 percent of the patients lost weight, with an average weight loss of 28 percent of their excess body weight. Researchers emphasized that despite the small size of the study and the need for more research in order to confirm, if future studies validate the findings, then this procedure may become ‘the latest method in treating obesity. A number of past studies have also tested Wrinkle reduction treatment for weight loss, but majority of the studies found that Wrinkle reduction treatment did not help the subjects lose weight. The difference between this study and those in the past is that earlier studies followed patients for just a few months after a single shot of Wrinkle reduction treatment , whereas this new study followed the patients for over a year with repeated injections of Wrinkle reduction treatment . Furthermore, researchers in the earlier studies thought that Wrinkle reduction treatment would only help people lose weight since it could slow down the rate of stomach emptying. However, the researchers in the new study had a different theory – Wrinkle reduction treatment can block the vagus nerve – a nerve connecting the stomach and the brain, controlling feeling of satiety and hunger. The researchers first tested their theory in animals, targeting the vagus nerve with Wrinkle reduction Injectionin mice and discovered that the rats lost weight by eating less. But in experiments where the vagus nerve had been cut, they did not lost weight even with Wrinkle reduction Injections. This experiment suggested that Wrinkle reduction treatment acted through the vagus nerve, inducing weight loss. This made the researchers target vagus nerve with Wrinkle reduction treatment . Wrinkle reduction treatment for weight loss is relatively safe and patients didn’t experience any serious side effects. Also, the procedure is quick, which only takes about 15 minutes. Still, Wrinkle reduction treatment can cause serious side effects such as trouble breathing, muscle weakness and double vision, in rare cases. The study was funded by the European Commission and The Liaison Committee between the Central Norway Regional Health Authority and the Norwegian University of Science and Technology. Today, more and more men are jumping on the Wrinkle reduction treatment bandwagon – and they are giving all different reasons to give wrinkle injection a try. According to a recent survey done by the American Society for Aesthetic Plastic Surgery (ASAPS), there is a significant increase in the number of total procedures (9.9 per cent) for both men and women, with more than 400,000 male patients who got Wrinkle reduction Injections last year. Plastic surgeons are not surprised to see more men in their practices. The main motivation of men to get Wrinkle reduction Injectionis to appear youthful, particularly at work where they’re more likely to face age discrimination. Many men view the procedure as a way to defy aging effectively and freeze time. The pressure to look young and feel more youthful are not exclusive to women; men too feel pressured. This is according to most physicians who told patients age 35 to 65 years were interested in getting the injection. The president of the ASAPS Dr. Daniel Mills said, “’They’re simply having more procedures done because they want to maintain the competitiveness in an increasingly ageist workplace”. Nowadays, the younger you look, the better chance you have in competing and staying in market. The most common areas injected with Wrinkle reduction treatment for career are around the eyes and eyebrows. In addition, spouses and significant others play a part in convincing their partner to go inside their doctor’s office. Some patients feel more comfortable having the procedure after finding out that a loved one or a friend have it, while others just reported that their partner demanded they get Wrinkle reduction treatment . After seeing more and more men considering this cosmetic procedure, doctors are beginning to pay more attention to men’s aesthetics, as this trend may continue and even perpetuate. In the past, a man checking a plastic surgery website may see procedures often aimed at women. But now, more and more websites are dedicated to cater men. Another reason to the rise on the number of men getting Wrinkle reduction treatment is social media and the desire to look great on their dating profile. This inspired more and more men to try the Wrinkle reduction treatment . Most men who likely get Wrinkle reduction treatment for career have higher incomes and a lot of them work in fashion, art, corporate world and law. There’s also no specific ethnicity – Asian, White, African-American. Popularly used to smoothen fine lines and reduce the appearance of wrinkles, experts are exploring the potential of Wrinkle reduction treatment for arthritis pain, specifically rotator cuff arthropathy. Rotator cuff consists of four tendons and four muscles that surround the joints and provide important function. It makes sure the end of the humerus stays within the socket of the shoulder. Rotator cuff tears are more common among the elderly. This is often caused by wear and tear in the joints and affects up to one in four people. Along with reduced blood supply, tendons in the area become weaker with age. Shoulder blade rubs against these tendons, causing tears in the tissue and impairing movement. Some elderly people experience difficulty in raising their arm above their head due to rotator cuff arthropathy. In the past, treatment options for arthritis pain include heat or ice packs, anti-inflammatory medications and physiotherapy, and sometimes, for severe cases, surgery. Administration of Wrinkle reduction treatment in the affected muscles bypasses such measures because Wrinkle reduction treatment relaxes the tissue by blocking signals that prompt the muscle to tighten. Another reason is that Wrinkle reduction treatment for arthritis pain can paralyze the nerves. Similar to injecting wrinkles, it could have similar effect on the muscles that is transmitting pain. The toxin may eventually be used for treating osteoarthritis patients and those with rotator cuff arthropathy, whose pain isn’t adequately controlled by traditional medicines such as analgesics or NSAIDS. Like how Wrinkle reduction treatment flattens wrinkles, the substance can block neuromuscular junction, so the nerve cannot transmit signals, preventing muscle contraction. In a study published by the Journal of Rheumatology, 54 patients with chronic knee pain were grouped into two – one group were injected with Wrinkle reduction treatment while the other were given placebo. Result of the study showed 71 percent of those administered with Wrinkle reduction treatment achieved significant reduction in pain, with measurable improvement in the joint function compared to 35 percent of those who got placebo. Another study has further raised interest by telling that Wrinkle reduction treatment might be used someday for treating inflammation. Published in the Biochemistry Journal in 2011, it cited a future use of Wrinkle reduction treatment – treating chronic inflammation and not only temporarily relieving pain. The study led by Felix Yeh, PhD said the focus of the study is to learn how the toxin get into the neurons, something he names ‘the Trojan horse strategy’. With the use of Botulinum toxin Type B, a relatively new product, Yeh revealed that the neurotoxin can be used to inhibit the release of tumor necrosis factor alpha, a type of cytokine that possibly causes inflammation in autoimmune diseases such as rheumatoid arthritis. A recent study has found that Wrinkle reduction Injections might be a safe, effective and long-term treatment for ‘Burning Mouth Sydrome’. Burning mouth syndrome is characterized by a burning pain in the mouth, occurring every day for several months or even longer. Dentists and doctors don’t have a particular test to diagnosed BMS, hence it is difficult to diagnose. There are no specific treatment that work for the general public, but your doctor may prescribe medications to help manage dry mouth, mouth pain and other symptoms. 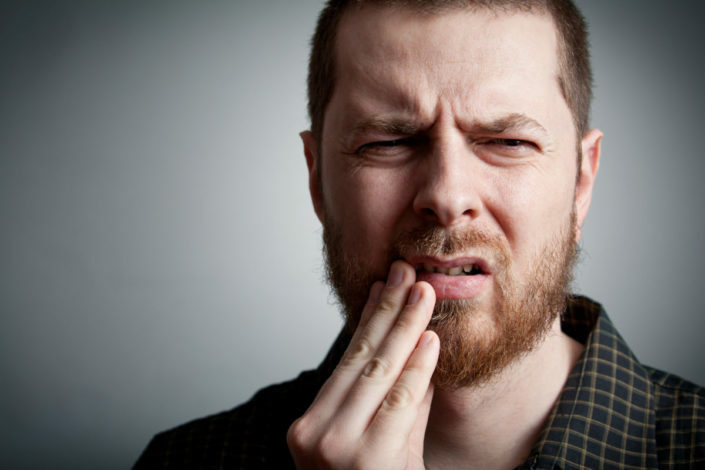 The primary symptom of burning mouth syndrome is the mouth pain that is tingling, scalding or burning. There may also be a feeling of numbness. Other symptoms include altered taste in the mouth and dry mouth. BMS pain may last for months to years. Often, the tongue is affected, however, it may also be at the roof of the mouth, throughout the mouth or only the lips. Some people feel pain every day and others experience increasing pain throughout the day. For most, the pain is reduced when drinking or eating. Wrinkle reduction treatment has long been used to smoothen wrinkles but it may also come to the rescue for those suffering from a painful condition known as burning mouth syndrome. A team of Italian researchers found that Wrinkle reduction treatment might be an effective, safe and long-lasting treatment for the disorder. Published in the Annals of Internal Medicine, a team led by Domenico Restivo, MD, of Garibaldi Hospital, Catania claims that Wrinkle reduction treatment , a purified polypeptide that can relax muscles by blocking neuro-muscular junction (nerve receptors) that innervate the muscles, might help ease the condition. The small study involved one man and three women in their 60s and 70s. All are diagnosed with Burning Mouth Syndrome on their lower lip and tongue for at least six months. Each patient got a total dose of 16 injection in the lower lip and tongue. The Wrinkle reduction treatment group reported that pain disappeared within 48 hours in all patients. The beneficial effect lasted for 16 weeks after the Wrinkle reduction treatment therapy in all except for one patient whom the effect lasted for 20 weeks. The other group involving two patients received saline injections as placebo and saw no improvement in their condition. This effectively ruled out the placebo effect. No side effects were noted from the treatment. Dr. Restivo’s team concluded that the positive results from this study is encouraging, believing that the findings must lead to a more comprehensive, randomised trial. Over the years, the use of Wrinkle reduction treatment has extended, from medicinal to cosmetic. Developed as a biological weapon, numerous studies have revealed its effectiveness and usefulness beyond enhancing your facial features. Right now, Wrinkle reduction treatment has been highly useful in multidisciplinary fields such as urology, endocrinology, ophthalmology, endocrinology and neurology. This neurotoxin provided benefits for many chronic conditions such as muscle spasm and stiffness by relaxing abnormal muscle contractions. When there are problems concerning muscle activity, Wrinkle reduction treatment has been a go-to drug due to its effect that help release stiffness. Blepharospasm – a neurological condition manifested by forcible closure of eyelids or abnormal twitching of eyelashes and eyelid. In the case of blepharospasm, the eye muscles contract to the point that the person could not open his eyes and they have to use their hands to open them. Such condition can be an unpleasant experience for the sufferer. A very minimal dose of Wrinkle reduction treatment can be administered through a fine needle in the eyelids. Hemifacial Spasm – a condition when there is involuntary muscle contractions of the face on one side, manifested by flickering movement of the affected muscles. The condition can be resolved by injecting Wrinkle reduction treatment on the lower face and around the eye. Meige’s Syndrome – a condition in which the upper and lower part of the facial muscle contracts. Cervical dystonia – a condition characterized by high muscle tone in the neck, resulting in different positions of the head. Sometimes, the neck rotates and pulls in a certain direction. The condition is sometimes called ‘wry neck’ or torticollis. Wrinkle reduction treatment helps by providing controlled relaxation of the affected muscles. Upper and lower limb spasticity – there are times when a person recovers from stroke, muscle stiffness can hinder recovery. In some cases, spasticity is severe that it causes restrictions of movement. Wrinkle reduction treatment help relax the muscles to assist physiotherapy. Writer’s Cramp – a condition in which a person have difficulty in writing only. A person with writer’s cramp may only write one to two pages and after that, their hands begins to give up. Migraine – not all cases of migraine require Wrinkle reduction treatment injection. Wrinkle reduction treatment can be used for migraine if the person experience frequent headaches and failed to respond with other treatment. Nowadays, more and more people are turning towards less invasive cosmetic procedure such as Wrinkle reduction treatment . With nearly zero downtime and instant results, one group of people turns to Wrinkle reduction treatment too – professionals who want to hide their emotions. Politicians, lawyers, detectives, psychiatrists and even stockbrokers are now turning to Wrinkle reduction treatment to keep a straight face. Dubbed as ‘Protox’, this is recently sought by mostly professionals who want to achieve a ‘frozen face’, stopping any facial expression in order to hide any form of emotions. In recent times, doctors noticed a new wave of patients who ask for Wrinkle reduction treatment to provide them minimal or reduced expression. This is particularly common for those with ‘hyper-expressive’ features who desire to look for calm or ‘professional’. Although many people choose to get Wrinkle reduction treatment as a preventative measure or to erase existing wrinkles, most of them still prefer to have as much facial movements as possible. However, certain people, especially professionals, desire a ‘frozen forehead’, literally. There are a number of reasons why more and more professionals are turning to ProTox. Psychiatrists and other mental health professionals, who usually spend time listening to their patients, often get Wrinkle reduction treatment between the brows to relax the area and not appear judgmental or disapproving. Wrinkle reduction treatment helps minimize their facial expressions when communicating with their patients. Another reason for getting ProTox is for treating excessive sweating or hyperhidrosis. The underarm area is commonly the popular spot but for those working in finance, politics and media, they frequently request keeping their forehead free from sweating. Sweaty forehead or brow can show that a person is nervous or anxious, and the want to hide it so as not to show nerves. Another sign of nervousness is jaw clenching. This can easily be fixed through Wrinkle reduction Injectionon the masseter muscle. By relaxing the jaw muscle, people won’t easily notice a person is nervously tense. People seeking ‘ProTox’ are cleverly realizing the power of Wrinkle reduction treatment and how it can help their careers and working lives. Like actors and actresses who want to hold facial expressions, lawyers, top negotiators and even medical professionals find it useful to show a serene, calm and unreadable face in their careers. ProTox is more about technique and methodology. Wrinkle reduction treatment is a very powerful injection, however, the result will depend on the practitioner’s skills and understanding of the patient’s desire as well as their artistry and knowledge of the facial anatomy. It is necessary for any patient to have a thorough discussion with their doctor before getting any Wrinkle reduction treatment to make sure they only get the best result that will suit them. Is Preventative Wrinkle reduction treatment Worth All the Hype? Wrinkle reduction treatment seems like the thing you’ll consider when you’re on your 40s or 50s. After all, this wrinkle-fighting injectable is mostly used by the older demographic to enhance their appearance. However, doctors told that more and more young people are getting preventative Wrinkle reduction treatment – or the use of Wrinkle reduction treatment to stop wrinkles before they even form. Botulinum toxin is an FDA-approved drug for people ages 18 and above. Doctors say that most of the patients seen getting Wrinkle reduction treatment for wrinkle prevention are in their late 20s or early 30s. Preventative Wrinkle reduction treatment is useful to retrain your facial muscles and enhance facial posture that primarily causes wrinkles. Through the use of highly precise placement of a neuromodulator such as Wrinkle reduction treatment , specific muscles are being pulled in a certain direction, allowing opposing muscles to pull in the opposite side. These muscles will become stronger over time and they will age more evenly. People develop fine lines and wrinkles because the skin weakens over time and cannot effectively revert back from folding due to smiling, laughing, frowning and all other facial movements. As such, doctors usually suggest treating wrinkles in two steps. First, using a topical retinol product to encourage collagen production and strengthen the skin. Second, using neuromodulator such as Wrinkle reduction treatment to relax facial muscles, preventing wrinkling of overlying skin. In a nutshell, preventative Wrinkle reduction treatment simply gives an early start for those who need it more. Wrinkle reduction treatment prevents dynamic wrinkles or the wrinkles caused by movements of the muscle. They are the lines around the sides of the mouth, crow’s feet, lines across the forehead and the sides of your nose. By relaxing these muscles using Wrinkle reduction treatment , you can prevent the movement that ensues wrinkles. Doctors can tell if you might need preventative Wrinkle reduction treatment by simply looking at your face. For instance, someone who furrows her brow or purses her lips out of habit might notice lines across her forehead or mouth in her 20s. Injecting Wrinkle reduction treatment at the right places will help ‘train’ your face to no longer falling into such habit. This will help lower the chances that you’ll develop permanent wrinkles on those spots. Experts say preventative Wrinkle reduction treatment really works – it can totally reverse mild lines and could even prevent them from forming at all. The best time to start preventative wrinkles is when they first appear. Wrinkles begin to show up when you are making a facial expression and then disappear at rest. FYI: Getting preventative Wrinkle reduction treatment in your 20s or 30s does not mean you are going to be hooked on it for the rest of your life. Ideally, you’ll return less and less often over time. Some may need minor touch-ups while others may not need to return for a year or even less. You’ve heard of Wrinkle reduction treatment eye brow lift and face lift, but did you know that the latest beauty treatment to hit the industry is Wrinkle reduction treatment for high heel pain? Popular as ‘stiletto lift’, this procedure was once reserved on celebrities who want walk down the red carpet effortlessly. But now, the procedure is increasing in popularity among career women want to wear high heels at work, but still want to feel comfortable until evening, when they go out with colleagues or friends. Indeed, the chemical used to erase wrinkles can be injected to the feet. The ball of our foot is equipped with a pad of fat that absorbs shock between the bone and the ground. When you wear high heels, the ball of the feet experiences extra pounding from the high heels and that fat pad gets pushed out or displaced. What happens then is that the bone doesn’t have the cushion so it leads to pain and discomfort. However, some women refuse to give up on them. Over the last year, the number of women suffering from high heel pain has grown to staggering figure. More and more doctors are offering such procedure, and strange as it may sound, it is now becoming a norm. Wrinkle reduction treatment for high heel pain has become increasingly popular nowadays. Figures have shown that problems due to high heel shoes already cost £29 million a year in corrective foot surgery. Using a fine needle, very small amounts of Wrinkle reduction treatment are injected in four areas of the foot to stop swelling and sweating. The result is a slightly comfier feeling to wear four-inch heels. Wrinkle reduction treatment also firm up tissue that is damaged by the painful footwear. Aside from Wrinkle reduction treatment for high heel pain, many women combine dermal filler injections to relieve pressure on the fat pads on the balls of their feet. Similar to gel inserts, dermal fillers can bear most of the weight when walking in smart heels. Doctors often use hyaluronic acid such as Radiesse in the sole of the foot to help plump the irritated part. Long-term, Radiesse promotes the production of natural collagen in the foot, which means your feet will start to create their own cushioning. Although the ‘stiletto lift’ does help women wear high heels on a regular basis with clearly less pain and damage, it is still important to use this painful footwear in moderation and not all the time. There is a reason why high heels are very uncomfortable – they significantly change your posture. When you wear them on a daily basis, it can cause permanent problems such as shortening of the calf muscles, which could eventually make walking in flats even uncomfortable. What is Wrinkle reduction treatment ? Is Age a Factor in the Effectiveness of Wrinkle reduction treatment for Cosmetic Purposes? Zinc as Wrinkle reduction treatment Booster?